Modern hipster businessman using mobile phone. Phone conversation. Pretty smiling office woman using mobile phone. 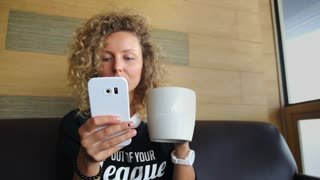 Attractive business lady chatting on smartphone. Checkered window background.